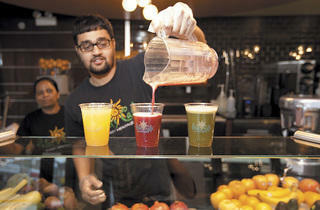 The second generation of Patels opens a snack shop. There was little doubt the Patel brothers would end up in the food biz. Rakesh and Swetal are the sons of Patel Brothers founder Mafat Patel, and their cousin Michael is the son of Mafat’s brother and cofounder Tulsi Patel. 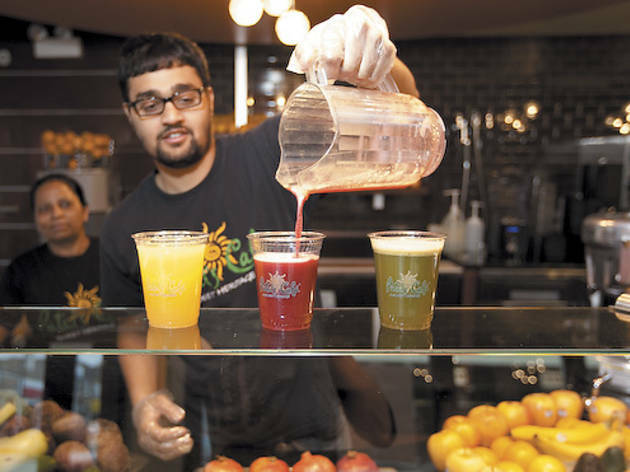 What Mafat and Tulsi started as a tiny grocery at 2034 West Devon Avenue in 1974 (where the unaffiliated cabbie-favorite Ghareeb Nawaz stands today) has since grown into a national company of 46 retail stores, including an importing arm and a wholesale business. Today, Mafat relaxes in the wings, Tulsi watches over the flagship store at 2610 West Devon Avenue, and the second generation—Rakesh, Swetal and Michael—are in constant motion, hopping on planes to open new stores from Texas to Michigan, securing new wholesale accounts and dreaming up new ideas along the way.